If an error occurs while playing the Hard Disc Drive (HDD) Audio, you may see the following error messages. If you cannot clear the error message, contact a dealer. 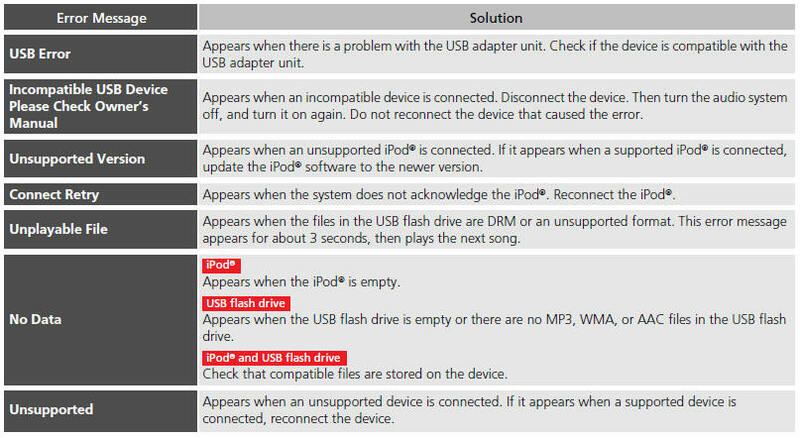 If an error occurs while playing an iPod® or USB flash drive, you may see the following error messages. If you cannot clear the error message, contact a dealer.